Giving a speech at a wedding (or any other event) can be a daunting experience, particularly for anyone who hasn't done one before. Standing in front of a large crowd of people and delivering a speech isn't something that comes naturally to many people. So it's not surprising that many get nervous about the speech. First of all, it's good to understand that nerves are normal; they are a good way to get your brain to focus about what you are about to do. We all get nervous before we do anything we're not used to or if we fear it's going to go wrong. If you've got a speech to deliver and you want to make sure you get it right then I can help. I offer wedding speech training, both writing the speech and delivering it. It's best to practice the speech in advance at the venue, where possible, to understand what works well and what doesn't. 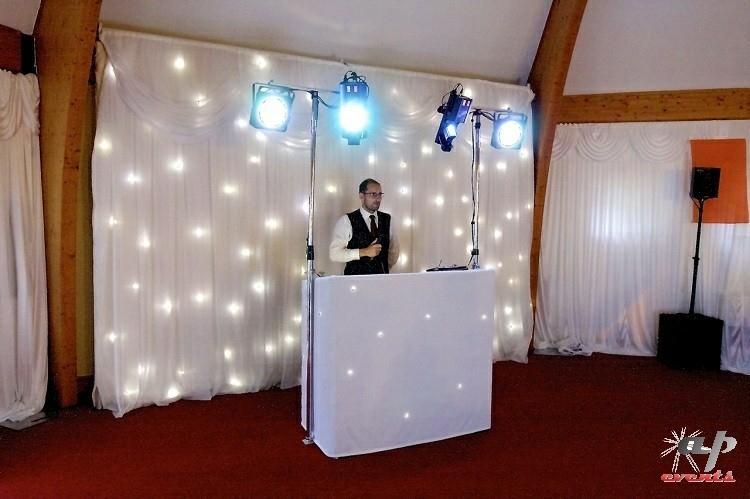 As a DJ I make announcements throughout the evening and am no stranger to the microphone at events. Presenting a weekly show on the local radio is something that feels natural to me, having done it for nearly 10 years now. But it wasn't always easy! If you want help preparing your speech then email me and we can arrange a session ahead of the big day.